The blogosphere is a wonderful place, full of information and fascinating facts and ideas. I've discovered it is also a great place to find out about books, the authors who write the books, books, the publishers who distribute the books, books and the online stores who sell the books, books and..... Well, you get it, books! And if you have a passion for books like me, well then it a huge playground to romp around in. Also, what sells me is the author themselves. Are they friendly and warm and positive. Or are they negative and whiny and self possessed. I've come across some books I would have liked to read, but the author turned me off. I know you are supposed to keep the author separate from their works. The story is just a story and it is fiction after all but sometimes it is difficult to separate one from the other. 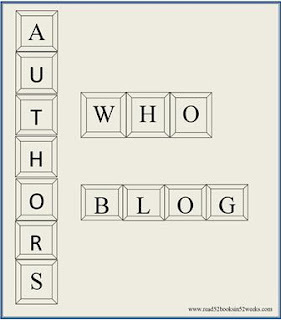 Last year, since I read so books by authors who blog, joined in on a Blogging Author Reading Project. I decided to keep the project going this year. Go check it out and then come on back. Over the past couple years, I've made friends with writers whose books debuted last year. Of course, I had to read their books, no question about it. They are in my stacks to read this year. Murderati - a group blog of 14 mystery writers including Pari Noskin Taichert, Alafair Burke, Allison Brennan, Brett Battles, Cornelia Read, J.D. Rhoades, J.T. Ellison, Louise Ure, Robert Gregory Brown, Zoe Sharp, Toni McGee Causey, Stephen Jay Schwartz, Alex Sokoloff and Tess Gerritsen. The Deadline Dames - a group blog of paranormal romance authors including Devon Monk, Jackie Kessler, Jenna Black, Karen Mahoney, Keri Arthur, Lilith Saintcrow, Rachel Vincent, Rinda Elliot and Toni Andrews. The Kill Zone - a group blog of mystery and thriller writers including Clare Langley, Hawthorne, Kathryn Lilley, Joe Moore, Nancy Cohen, Michelle Gagnon, Jordan Dane, John Gilstrap, Joe Hartlaub, John Ramsey Miller and James Scott Bell. These are just a few group blogs I've discovered and have been slowly making my way through reading their books. Not a stinky one in the bunch. Well worth following and checking out their books. What authors have you discovered online that made you decide to pick up and read on of their books? Please link to your specific book review post and not your general blog link. In the Your Name field, type in your name and the name of the book in parenthesis. In the Your URL field leave a link to your specific post. If you have multiple reviews, then type in (multi) after your name and link to your general blog url. 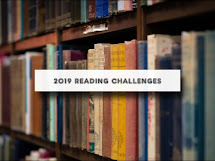 If you don't have a blog, tell us about the books you are reading in the comment section. 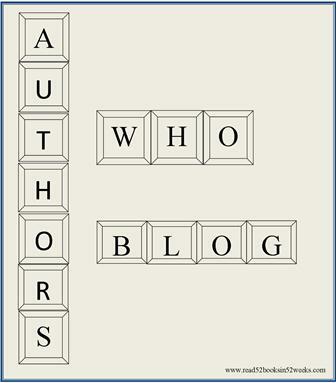 I haven't discovered any authors through blogging but I generally check out authors on-line once I've read their stuff. Through that I did find out that Madeline L'Engle's gdd just published- pretty cool, eh? For mysterious reasons, most of the book blogs I read are YA-oriented. I've found a lot of great new YA authors, as well as many other good books that way, but I can't remember exactly. I did find Julie Kenner's series through the WTM boards! I love to read Shannon Hale--both her books and her blog. I also follow Jessica Day George. She often gives recommendations of books she's read. I also follow a fan page of Mary Stewart. They are always posting interesting things about that famous author. @Jacqueline - Thanks, her books look good. I don't understand how I missed ;linking last week, I was so excited to get the review up! Robin McKinley's blog is a great read, just like her books. Ok, since I'm new to this I apparently missed a week not understanding that this was the post for week 2. My daughter and I will post our reviews to our blogs for week to and link back to this post but now know that it doesn't have to be labeled week (whatever) to be the review post here! Better late then never. Here is the link to my week 2 review.